(SEOUL) July 14, 2016 – Kia Motors Corporation has made significant progress in reducing the environmental impact of its production facilities, according to the company's annual 'MOVE' sustainability report. The Korean car manufacturer's ongoing efforts to introduce more environmentally sustainable production methods have, over the past 12 months, resulted in lower greenhouse gas emissions levels, less waste and reduced water use across its domestic production sites. These have been achieved with a strong focus on recycling, employee sustainability initiatives, reducing unit waste and cleaner, more modern production methods. 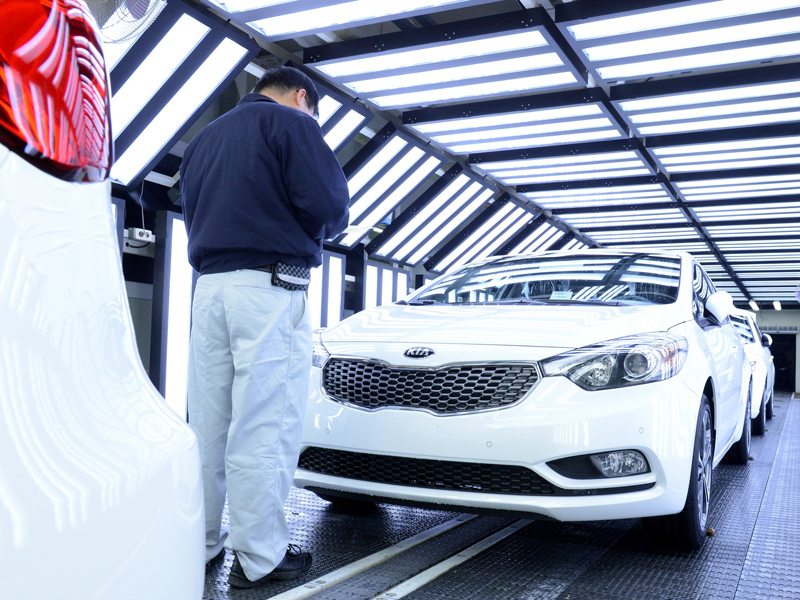 Kia's domestic plants, located in Sohari, Gwangju and Hwasung, Korea, accounted for 56.5% of all Kia global production in 2015 – 1.72 million units. While the company's year-on-year global sales grew by 0.3% in 2015, to 3.05 million units, the ongoing focus on sustainability across the brand's manufacturing facilities has minimized the environmental impact of this growth.